That’s Emily Arundel talking about her new concept cafe, Serotonin Eatery. People have been eagerly awaiting its opening thanks to her colourful social media feeds that advocate a healthy and happy lifestyle. 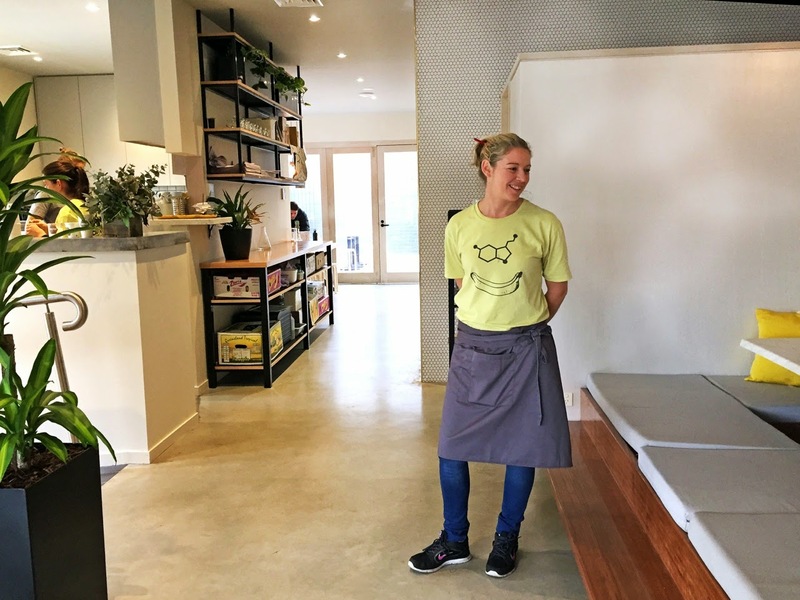 The launch date was going to be May 6, but because I went to school with Em, her Facebook newsfeed gave me the scoop – Serotonin Eatery actually opened quietly on April 15 on a little corner in Burnley. I swung by to write it up for Epicure, but there was so much information I couldn’t include in that tiny article that I felt compelled to write a blog post. 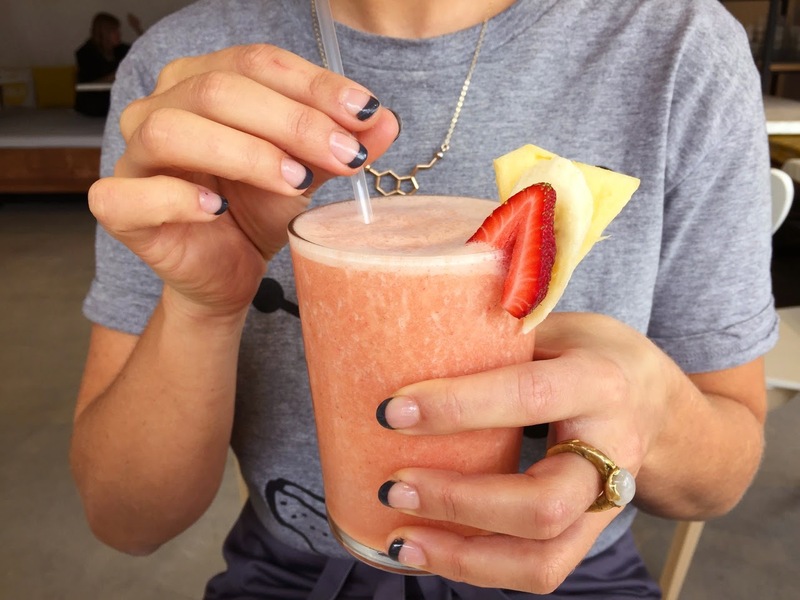 This isn’t a review – like I said, I went to the same high school as Em – this is merely a little more insight into her three-part concept that includes the Eatery, exercise and education. At the core of Serotonin is the desire to make people happy. 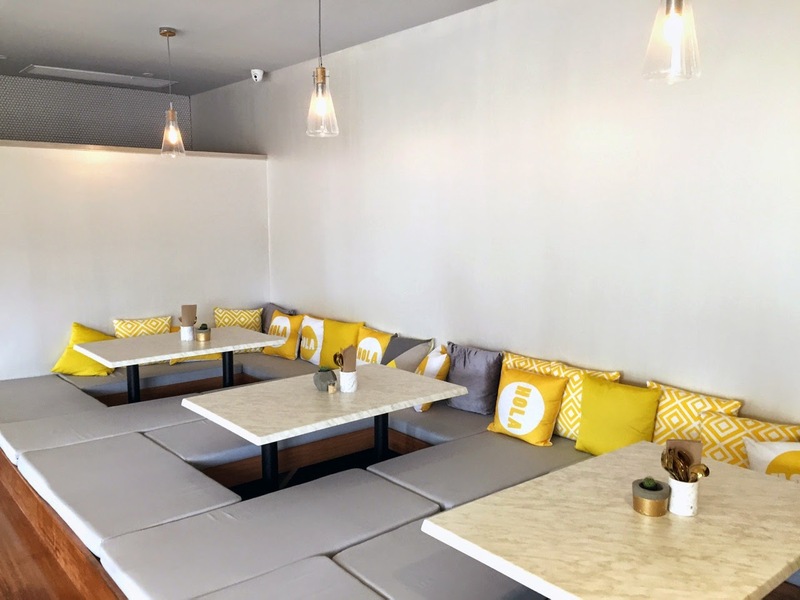 You could argue that it’s the same goal of any cafe but the difference lies in the plant-based menu. Dishes are rich in tryptophan, an amino acid that releases serotonin, a neurotransmitter in the brain linked to happiness and well being. Now I’m generally pretty cynical, but Em told me she has been backed by health professionals from doctors and psychologists through to naturopaths and dieticians. Having studied psychology myself, I’m also aware that releasing additional neurotransmitters in the brain doesn’t mean much if the receptors aren’t sucking them up at an increased rate, but at the end of the day if you can put fresh, colourful produce on a plate with as little human interference as possible and create something that people can’t easily make at home, I’m all for it. I doubt there are many studies out there that advise against eating healthily. After noshing at Serotonin Eatery, I felt full, a little sleepy and not at all guilty. I think that’s the main selling point, for me. Often when I have a ‘mood funk’ my go-to is Messina or some sort of OTT burger. It certainly fixes the funk, but I have to push aside the junk food guilts. But guilts are the least of our worries: according to the ABS, only six per cent of us ingest our recommended daily dose of fruit and veg. Serotonin’s fully vegetarian (and almost completely gluten free) menu makes it easy to achieve that recommended intake by leaving meat out of it. Sean Muir is in the kitchen, having worked at Bell Jar and Amsterdam St Cafe, and previously helping set up Oli & Levi and Pho & Co in the city. His Positive Pancakes are definitely going to be the signature dish here. 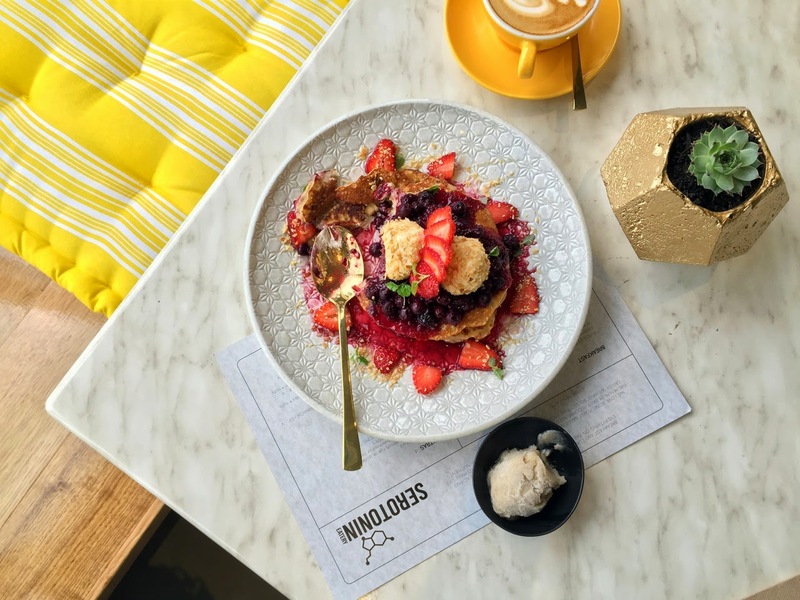 Made from banana flour (dehydrated, crushed bananas) with almond-covered yoghurt balls and berries, they give Top Paddock’s instagramable hotcakes a run for their money. 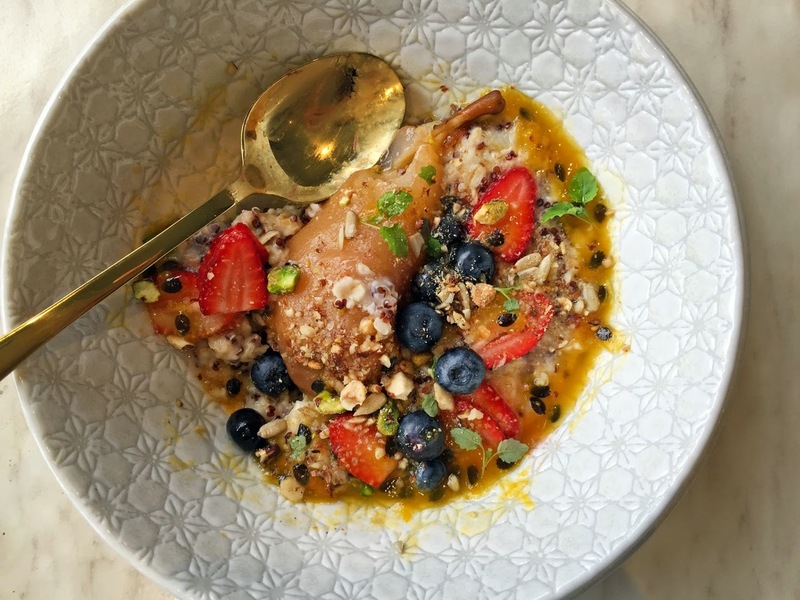 Favourites like smashed avo and porridge also feature, but the avo is “super” with white bean and beetroot while the porridge is “dreamy” with quinoa, oats and poached fruit. 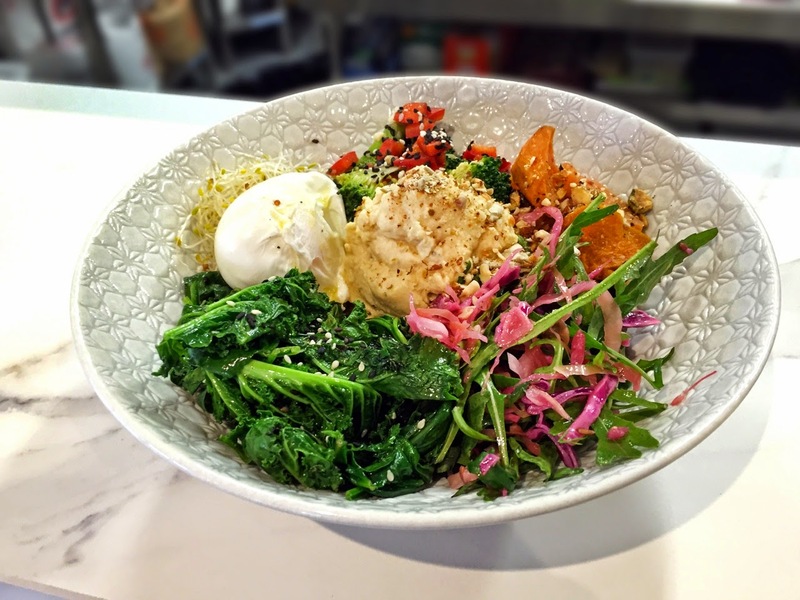 The nutrition bomb reminds me of the kind of vibrant dish social media-famous yogis post: a bright bowl of broccoli, wilted greens, roast veggies, sauerkraut, pickles, sprouts, nuts, a poached egg and a dollop of hummus. Salads and lunches (zucchini linguini, perhaps) are available to takeaway (borrow a picnic basket and blanket and head to the park across the road) and there’s a kiddie menu, too. 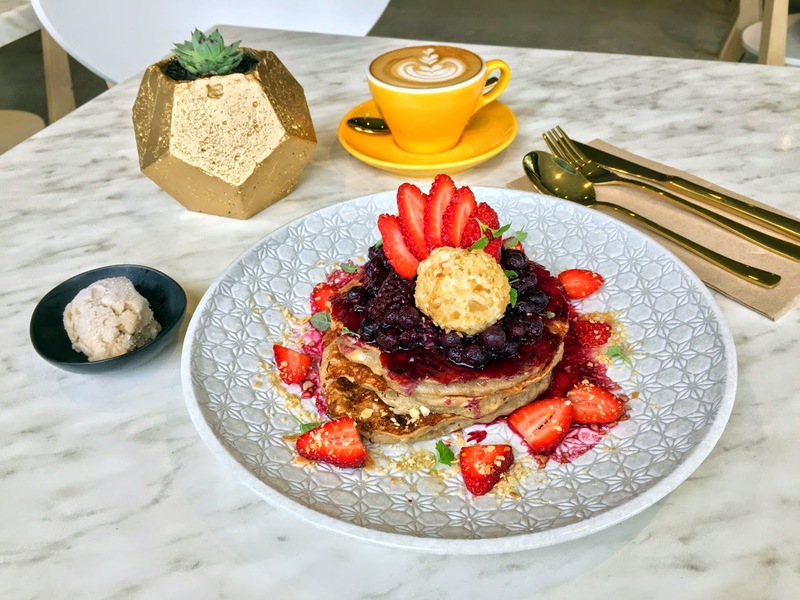 There are raw goodies available at the coffee window, there’s not a granule of refined sugar in sight and the best part is that nothing on the menu is over $18. That being said, you’ll pay $9 for a smoothie or bluice (read: blended juice), which again are 100 per cent fruit and veg. 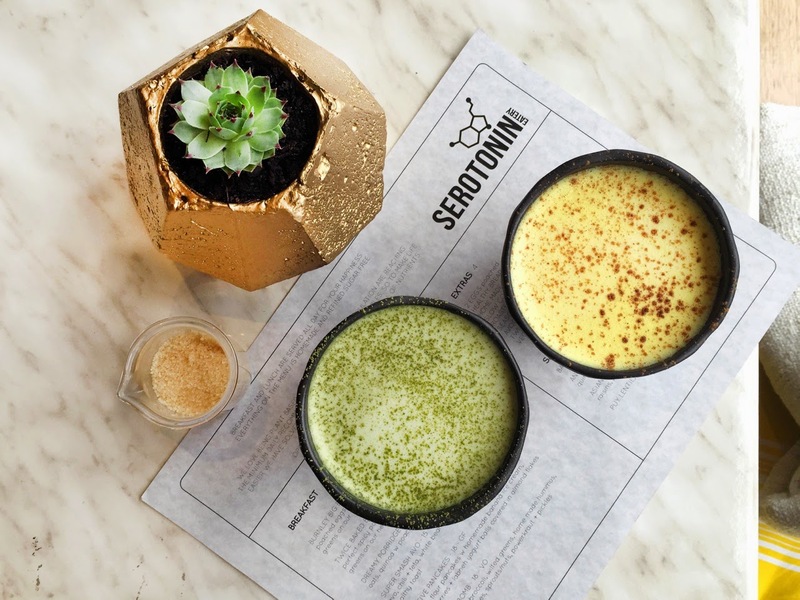 Although Serotonin Eatery advocates a stimulant-free lifestyle, 5 Senses still caters to the caffeinated Melbourne diet. Those who want to try something different can order a golden latte of almond milk, ginger, cinnamon, turmeric and cracked black pepper; a matcha latte or a hot chocolate made with grated cacao butter. 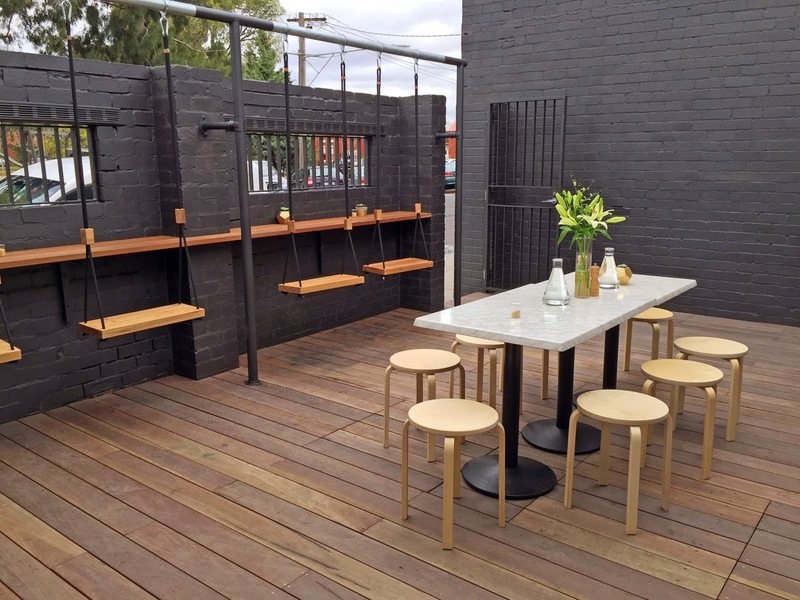 Seeing as the site was previously Burnely milk bar, the team has made sure you can still pick up a newspaper, two litres of milk, a loaf of Natural Tucker bread and two takeaway coffees for $20, but you’ll want to say when you see the interior. It looks more like a boutique homewares store that belongs on Gertrude Street than a local cafe. 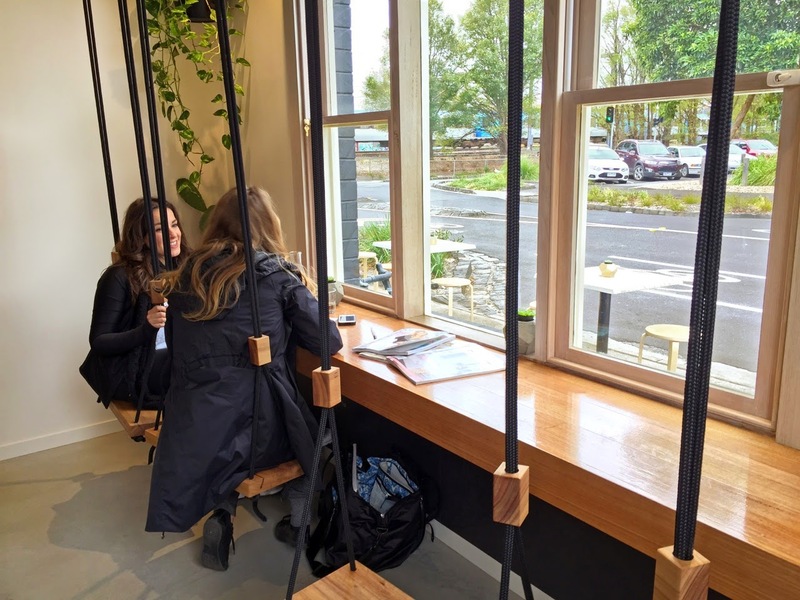 Serotonin Eatery can sit around 100, including on indoor swings by Pop and Scott and raised, Japanese-inspired tatami sofas that follow Em’s obsession with all things Japanese (at one stage, she wanted her cafe be Japanese). Having studied interior architecture and communication design, it’s the cohesive branding that impressed me the most. 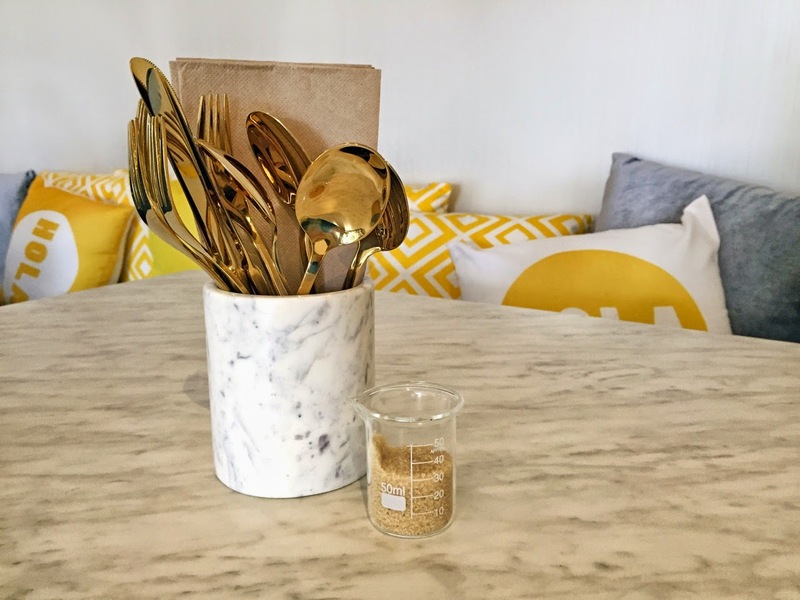 The yellow, grey and white-marble colour scheme (chosen for its calming qualities) is highlighted with gold cutlery. The hexagons that form the serotonin symbol are evident throughout, from the white tiling around the kitchen to the pots housing succulents. Glass beakers hold water and flowers and are a nod to the cafe's motto: “The science of making you happy”. 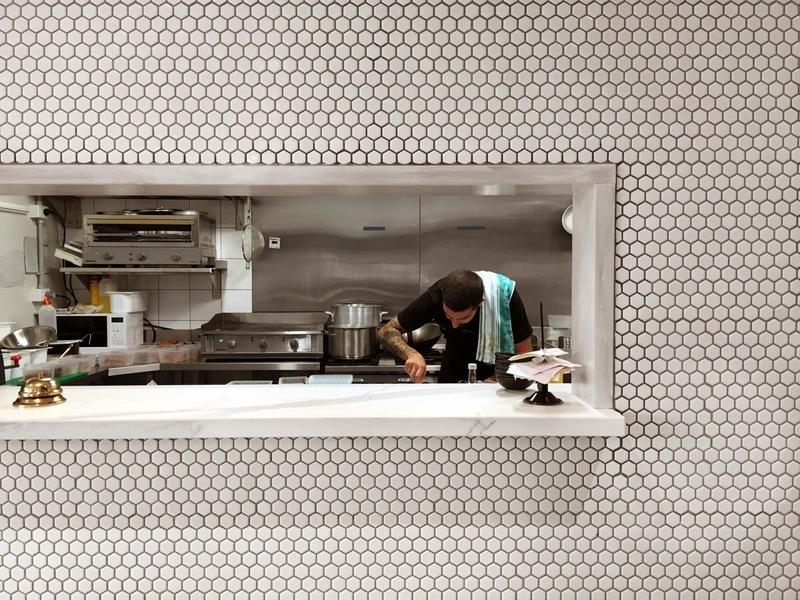 Every detail has been meticulously considered – there’s even comedy playing in the toilets (hello, Carl Barron). When the sun is in the right place in the sky, rainbows shine through the double hung windows and onto the concrete floor. Em assured me it was a coincidence. As I visited in the first few days of service, I missed out on the giant, periodic table light box that’s on its way, along with a neon exclaiming, “I’m happy”, and a hand-painted sign reading, “Let food be thy medicine” – the ‘oo’ in ‘food’ made up of the wheels of a bike. As I was leaving, I pulled into the laneway behind Serotonin Eatery to turn my car around and smiled at the street sign: Utopia Place. G club Online gambling sites that provide the bets of choice. Can be played every day. Just connect to the Internet, it will be good for all players. I play every day to play well, like what kind of play to choose. There is a very simple betting game. Can play well Make a substantial income every day. Enjoy easy betting at all time. In addition, gamblers are attracted to the important benefits of eating fruits in the morning, such as stimulating the digestive system. In trouble with constipation. Fruits are high in fiber. Help clear the toxins in the body. Eating fruits in breakfast will help stimulate the digestive system to function better. Give the body a lot. Helps digest the body naturally. It also helps in the absorption of various nutrients. That is a unique theme. I will follow and read every article of yours I like a lot of great articles are good and useful tips to decorate the idea of astonishing.